London's Interior Experts | Designs. Products. Implementation. Our message is simple ... enhance your home with light, don't just illuminate the space. "Lighting by plum’s ideas transformed our building project into something truly special. They were fantastic to work with and are highly recommended." ...feedback from some of our happy clients, Jude and Ben. Established in 2014, Lighting by Plum is an independent lighting design consultancy based in Buckinghamshire, specialising in residential lighting design. We cover all aspects of home and garden lighting across the home counties. We have worked on hundreds of residential homes and gardens including; extensions, new builds, buy to sell developments, flats and apartments, barn conversions, country estates and listed buildings. The technical knowledge we have of the fast paced lighting industry, along with a highly creative approach to lighting, design and control will ensure your project is not only kept on track but also enhanced and compliant with the latest industry standards and regulations. "I believe that you instantly 'feel' if a space is comfortable, and this often has a huge amount to do with the way it is lit." says Toria. "Get the lighting right and you will use the space for what it is intended for, get it wrong and you will not use it!" says Mike. With the right lighting, your home will not only be warm and welcoming but also suit your lifestyle and comfort. Hampshire Light offers a tailored and inspirational lighting design service for luxury homes. Projects include contemporary residences, barn conversions, historic or listed buildings, mansions, townhouses and classic homes. We blend creativity and perception with a highly technical and practical approach.At Hampshire Lighting, we have been enhancing our clients’ projects with thoughtful, sympathetic and practical lighting designs for over 20 years. Our multi award-winning family owned business is recognised as the leading lighting design consultancy in southern England. 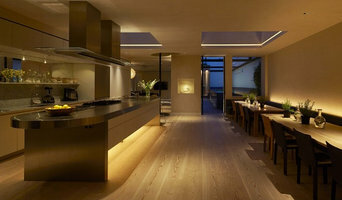 Hampshire Light offers a tailored and inspirational lighting design service for luxury homes. Our portfolio includes an elite range of contemporary residences, barn conversions, historic or listed buildings, mansions, townhouses and classic homes. 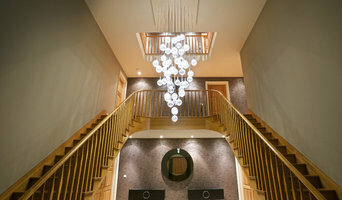 Our team of specialists are here to make sure you don’t miss out on what you never knew you could have - many lighting techniques and effects are well within the reach of most private clients and suit their houses perfectly. 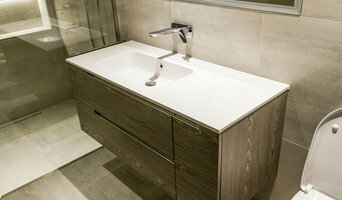 We use a range of techniques to create different ambiances, all tailored to your taste and style of property. We work with architects and designers from the initial project briefings through to completion, ensuring that all expectations of the client are essentially exceeded. Get in touch with us! We have been involved in Lighting and Home Automation for longer than we care to admit. We're experienced, but not complacent and always amazed at the rate at which technology changes and we embrace it. The design process and the core of getting any project 'just so', is the refined Lighting Design layout. Once complete, our package includes CAD drawings, detailed schedules and a detailed Site Manual. We put so much effort in to this process that over the past 7 years, have developed a bespoke solution called AutoPractice that is so groundbreaking, a number of independent Lighting Consultants use it in their own practices. Once the Lighting Layout is complete, we can get stuck into designing your KNX control system (which of course is optional) based on load types and dimming protocols. We build the panels in our workshop and provide an almost plug & go system with all drivers and power supplies within the cabinet; no more power supplies sitting on top of kitchen units. There is a great deal to the design process and detail is key, however, it's the shared creative process that we strive on and hope our enthusiasm will excite and inspire you, giving you the confidence to embrace bold design. We specify quality, cutting edge Lighting and Control equipment from all over the world, in fact most people don't even know they exist! Lighting transforms a space, adding to a sense of scale by delineating an area or extending its feel, highlighting key features by providing focus while concealing less attractive zones. Gus Goidanich employs lighting to design casually elegant schemes, using the latest energy efficient technologies to ensure the best light quality in projects, both residential and commercial. Apart from actually designing and creating lights, a lighting designer, or lighting specialist, will also know where in your home to install lights in order to create the visibility levels you need and the mood you desire for a space. 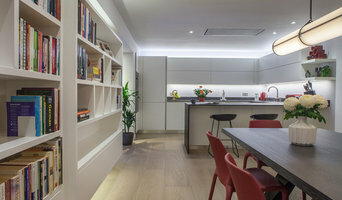 All lighting specialists in Ealing, Greater London should be knowledgeable about energy efficient lighting and the technical installation of various lighting systems, so you can ask them for advice when it comes to updating your lighting systems. As well as lighting designers, Ealing, Greater London lighting manufacturers may also be able to create bespoke lighting systems that will be designed to fit perfectly with your home, or perhaps if you just want a few key lighting pieces then you can find the Ealing lighting manufacturers that sell the style you’re looking for. Floor lamps and side lamps are great ways of adding subtle lighting when you don’t want harsh overhead lights, or light sconces on the side of the walls are ideal for traditional, more formal settings, or perhaps you could opt for more unusual sconces that can work as an illuminated wall feature? Manufacturers should be lighting specialists too, so they should be able to advise on which lighting piece would work best where in your house. In the kitchen, pendant lighting is a popular choice to hang over the breakfast bar or dining table and undercabinet lighting is a convenient way of adding more light when preparing meals. Lighting designers and lighting manufacturers in Ealing, Greater London will be able to professionally install these lighting elements for you, so you won’t need to worry about wiring or positioning bulbs in the right place. Find a lighting designer or manufacturer on Houzz. Narrow your search in the Professionals section of the website to Ealing, Greater London lighting designers and lighting manufacturers. You can also look through Ealing, Greater London photos by style to find a design you like, then contact the lighting specialists or designer that worked on it.